The Quick & Easy Home DIY Manual – Great Gift Idea! 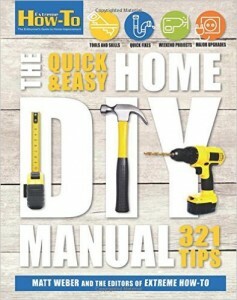 Extreme How-To’s first book, The Quick & Easy Home DIY Manual, is now available at Amazon.com and other fine retailers! Order your copy in time for the holidays!